Backups on Windows can be confusing. Whether you’re using Windows 7 or 8, you have quite a few integrated backup tools to think about. Windows 8 made quite a few changes, too. You can also use third-party backup software, whether you want to back up to an external drive or back up your files to online storage. We won’t cover third-party tools here — just the ones built into Windows. 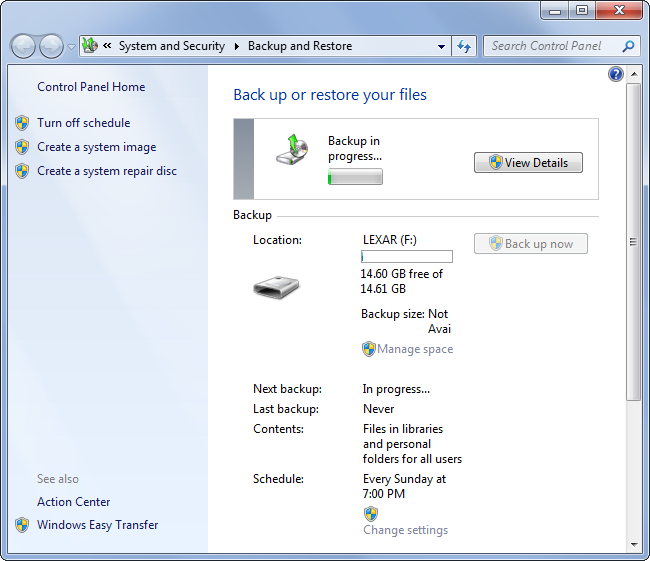 Windows 7 has its own Backup and Restore feature that lets you create backups manually or on a schedule. You’ll find it under Backup and Restore in the Control Panel. The original version of Windows 8 still contained this tool, and named it Windows 7 File Recovery. This allowed former Windows 7 users to restore files from those old Windows 7 backups or keep using the familiar backup tool for a little while. Windows 7 File Recovery was removed in Windows 8.1. System Restore on both Windows 7 and 8 functions as a sort of automatic system backup feature. It creates backup copies of important system and program files on a schedule or when you perform certain tasks, such as installing a hardware driver. If system files become corrupted or your computer’s software becomes unstable, you can use System Restore to restore your system and program files from a System Restore point. This isn’t a way to back up your personal files. It’s more of a troubleshooting feature that uses backups to restore your system to its previous working state. Windows 7’s Previous Versions feature allows you to restore older versions of files — or deleted files. These files can come from backups created with Windows 7’s Backup and Restore feature, but they can also come from System Restore points. 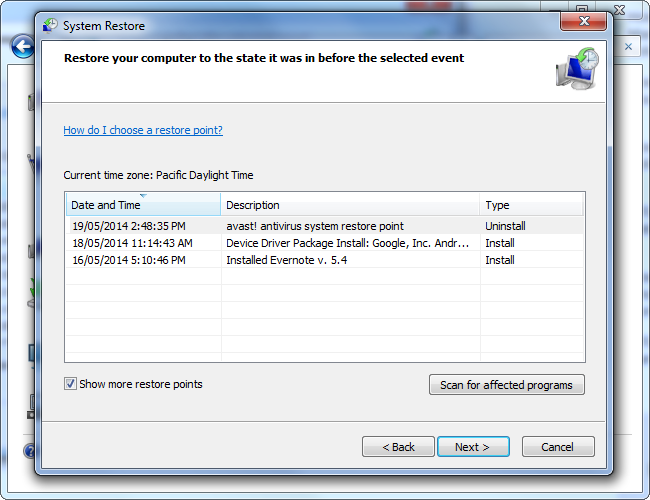 When Windows 7 creates a System Restore point, it will sometimes contain your personal files. Previous Versions allows you to extract these personal files from restore points. This only applies to Windows 7. On Windows 8, System Restore won’t create backup copies of your personal files. The Previous Versions feature was removed on Windows 8. 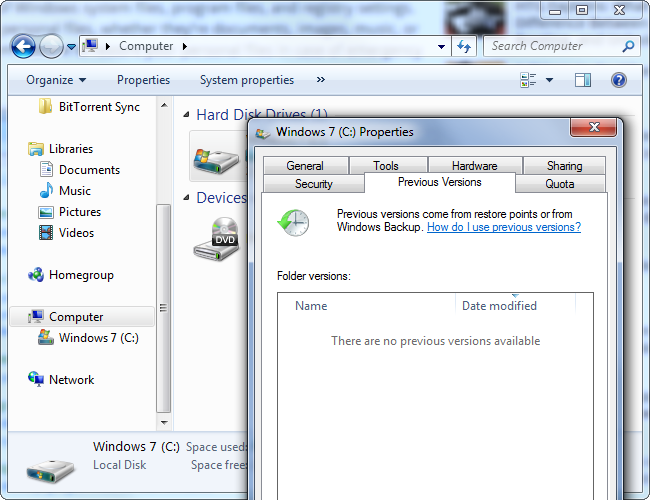 Windows 8 replaced Windows 7’s backup tools with File History, although this feature isn’t enabled by default. File History is designed to be a simple, easy way to create backups of your data files on an external drive or network location. 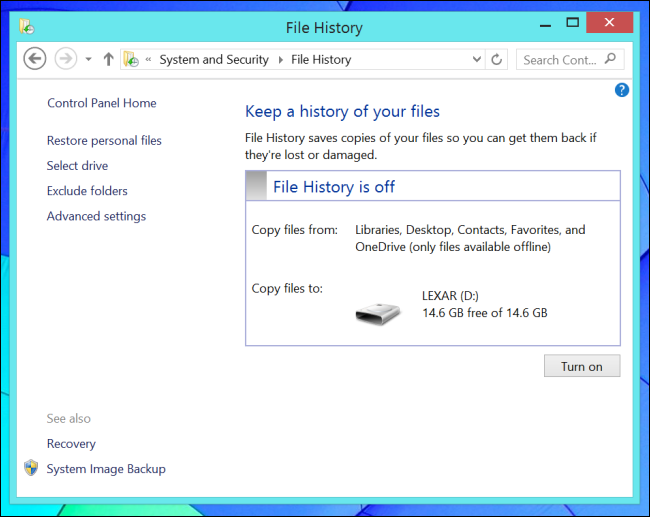 File History replaces both Windows 7’s Backup and Previous Versions features. Windows System Restore won’t create copies of personal files on Windows 8. This means you can’t actually recover older versions of files until you enable File History yourself — it isn’t enabled by default. 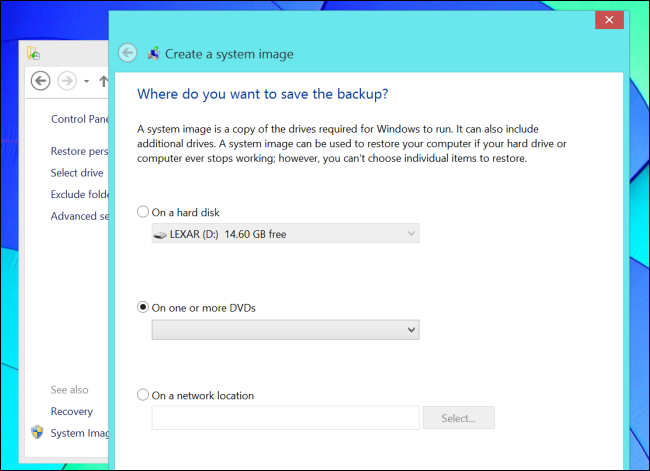 Windows also allows you to create system image backups. These are backup images of your entire operating system, including your system files, installed programs, and personal files. This feature was included in both Windows 7 and Windows 8, but it was hidden in the preview versions of Windows 8.1. After many user complaints, it was restored and is still available in the final version of Windows 8.1 — click System Image Backup on the File History Control Panel. 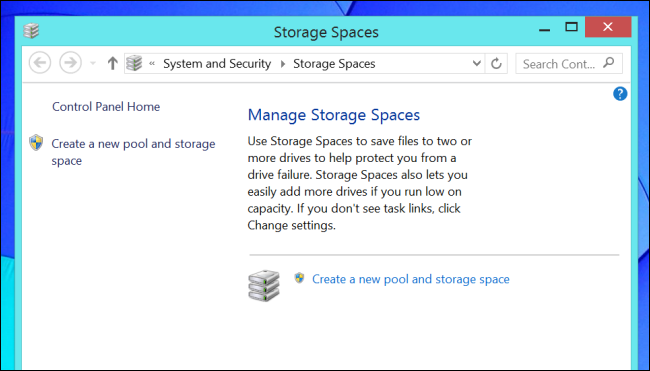 Windows 8’s Storage Spaces feature allows you to set up RAID-like features in software. For example, you can use Storage Space to set up two hard disks of the same size in a mirroring configuration. They’ll appear as a single drive in Windows. When you write to this virtual drive, the files will be saved to both physical drives. If one drive fails, your files will still be available on the other drive. This isn’t a good long-term backup solution, but it is a way of ensuring you won’t lose important files if a single drive fails. Windows 8 and 8.1 allow you to back up a variety of system settings — including personalization, desktop, and input settings. If you’re signing in with a Microsoft account, OneDrive settings backup is enabled automatically. 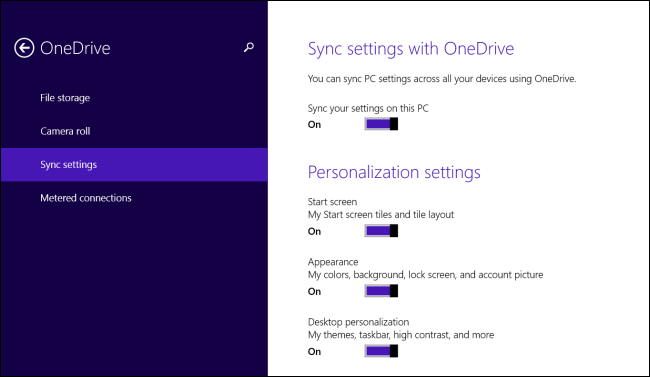 This feature can be controlled under OneDrive > Sync settings in the PC settings app. This feature only backs up a few settings. It’s really more of a way to sync settings between devices. Microsoft hasn’t been talking much about File History since Windows 8 was released. That’s because they want people to use OneDrive instead. 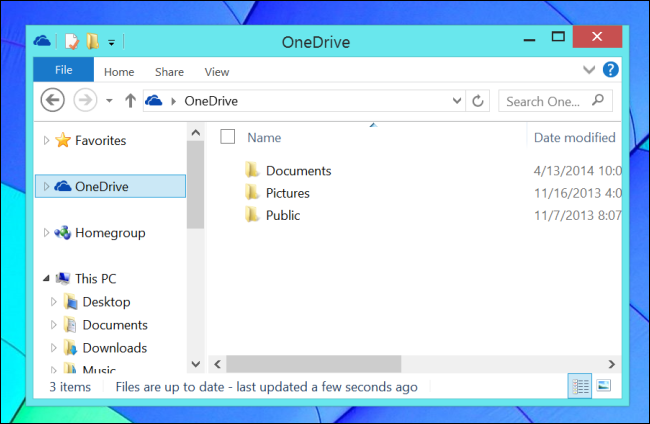 OneDrive — formerly known as SkyDrive — was added to the Windows desktop in Windows 8.1. Save your files here and they’ll be stored online tied to your Microsoft account. You can then sign in on any other computer, smartphone, tablet, or even via the web and access your files. Microsoft wants typical PC users “backing up” their files with OneDrive so they’ll be available on any device. You don’t have to worry about all these features. Just choose a backup strategy to ensure your files are safe if your computer’s hard disk fails you. Whether it’s an integrated backup tool or a third-party backup application, be sure to back up your files.